Technical Editor Matt Wood’s took Kenworth’s T909 on a 3,500km trip and walked away impressed. The Kenworth T909 is a popular choice for road train haulers as well as quite few single trailer operators. For some it’s about the big–banger looks, for others it’s about the long wheel base and limo like ride. These days the big bonneted Kenworth is dependent solely on Cummins power. However, the Cummins ISX exhaust gas recirculation (EGR) engine hasn’t lived up to the expectations of many and some previously staunchly Kenworth fleets have even flirted with European brands in the interim. 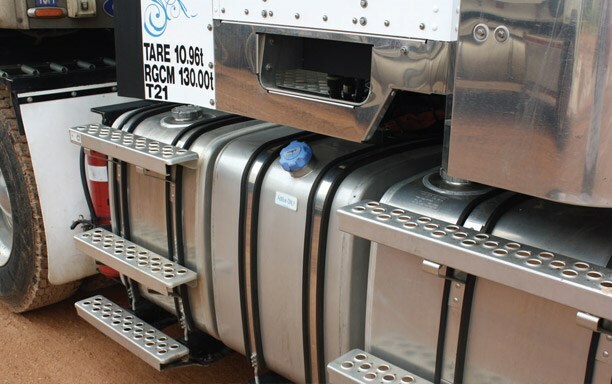 The 15-litre ISXe5 launched in late 2012 uses selective catalytic reduction (SCR) instead of EGR to satisfy ADR80/03 (Euro 5). The ISXe5 also does away with the variable geometry turbo (VGT) in favour of a waste gated turbo and uses a single overhead camshaft rather than the twin camshaft set up of the EGR engine. Industry response to the engine has on the most part been positive with dyed in the wool Cummins operators reporting gains in both performance and in fuel economy. Reliability is also reported to have improved with the simplified induction system and the ultra-high pressure XPI common rail fuel injection system. Horsepower ratings for the ISXe5 range from 450-600hp (335-447kW). 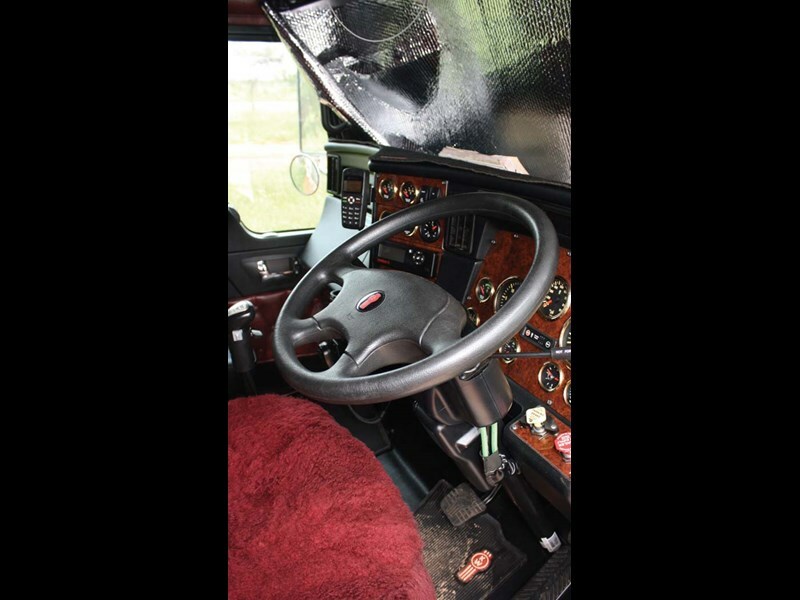 Many are critical of the narrow cockpit of the bonneted Kenworth, others love it. Myself, I fall into the latter category. I’ve always preferred sitting closer to the chassis and further away from the outside wheel track. While this can take some getting used to for some I find it gives a great ride and predictable handling, particularly on less than perfect road surfaces. 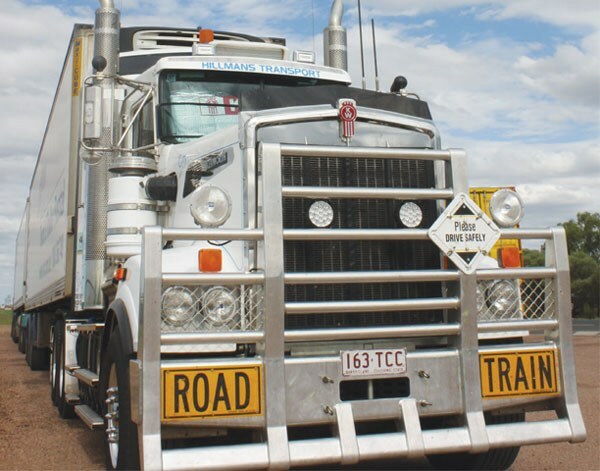 Starting out with one truck towing for TNT in 1985, the 40-truck strong, Toowoomba-based Hillmans fleet now also caters for hotshot runs to the mines within Queensland as well as B-double interstate general haulage. The company started out as tow haulers however, body trucks, and trailers, have now snuck into the fleet as work has continued to grow and diversify. Hillmans runs under a strict compliance regime. 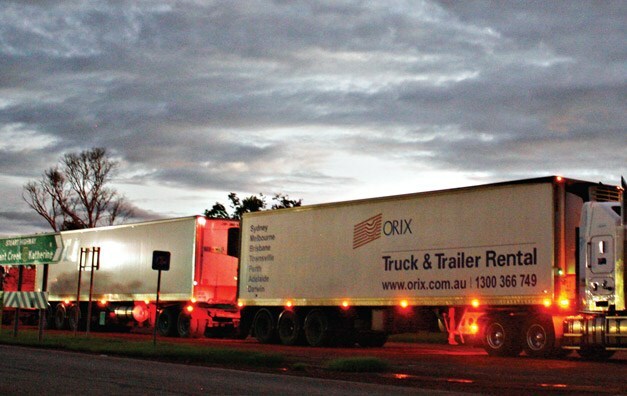 All road train prime movers are speed limited to 90km/h and are satellite-tracked and constantly monitored. All drivers are breath tested for alcohol before hopping into the truck. Drivers’ seatbelts are bright orange so as to stand out when being worn and some prime movers even have in-cab camera monitoring, though this can only be accessed by two people in the entire company. My horse for the trip sat gleaming in the Queensland sunlight with shiny alloy, blackened tyres and plain white livery. 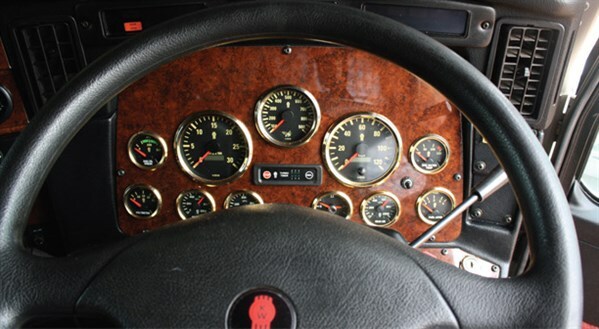 This particular T909 Kenworth had only notched up 200,000km and as such was effectively just run-in. My companion for the trip was Phill Robinson, who has been with Hillmans for the past four years, and was a quiet unassuming fella with a battered drover’s hat on his head. Robinson took the wheel and we bob-tailed down to the Toll NQX yard for our first two trailers. He made light work of hooking up the double road train and by five in the afternoon we were on our way. We had roughly six hours of driving ahead of us before getting to the pads at Mitchell where we would hook up our third dog trailer and continue up the Class 2 road train-rated Warrego Highway. Now grossing 108 tonnes, the 15-litre Cummins was really having to work, although, according to the guys at Hillmans, this is a relatively light load. The T909 was rated at 130,000kg GCM and loads quite often come near that weight limit. Late afternoon on the second day saw me climbing into the driver’s seat for the first time. This wasn’t my first time at the wheel of a triple road train but it’s fair to say that I don’t have a great deal of road train experience under my belt. Yet, I slowly let the clutch pedal out and felt the drivetrain take up the slack in the Ringfeeder hitches. It was longer and heavier than I was used to but I was feeling comfortable nonetheless. Once we were rolling, I shuffled quietly though bottom ’box in the 18-speed Eaton transmission before winding the Cummins out a bit more in top ’box with weight and momentum on our side. Around 1,600rpm seemed to be the magic spot on the e5. The combination of the 4.89 diff ratio and the 90km/h Hillmans limit had the Cummins humming along at a nice balance between economy and performance. The 550hp (405kW), peak 580hp (427kW), and 1,850ft-lb (2,508Nm) engine rating, didn’t seem to be lacking at any stage during the drive. The T9 plants itself on the road purposefully and gives great feedback though the wheel; it has a confident feel. While you can always feel the trailer combination swinging on the rear suspension, you still don’t find yourself trying to steer the rear trailer as it jiggles away down the back. The long wheelbase and solid feel of the T909 also comes in handy when hugging the fog line for oncoming heavy vehicles. It had been an interesting drive along what is considered by many to be one of Australia’s great trucking routes. The drive had given me the chance to get the big K-dub out into the boonies and onto some less-than-perfect roads at a big weight, and its predictable sure-footed handling made keeping all three trailers on the safe side of the white lines that much easier. Some prefer the wider cab and driving position of the Mack Superliner or Titan, others the Western Star 4900, much of which comes down to personal preference; and of course dealer relationship. In my opinion the T9 is a great platform for the outback and the ISXe5 proved it was up to the task of dragging big weights without getting too hot under the collar. As a package the T909 may have its faults, but it also has character and drivability in spades. A download of the ECM in our T909 made for some interesting reading. The sample was for three trips including the one I drove on, over 9,876km. The ISXe5 returned a fuel average of 1.33km/l and 2.7 per cent of diesel burn AdBlue use. Factoring in the AdBlue brings the fuel average down to about 1.29km/l, pretty impressive stats for a triple road train. The truck spent 86.6 per cent of the time in overdrive and maintained an average speed of 76km/h (speed limited to 90km/h). Load factor on the engine was 59 per cent and the average drive horsepower came in at 337hp (251kW) at an average engine speed of 1608rpm.